Sir William Gallagher, Mark Flowers, Lynnette Flowers and Gordon Chesterman at the farewell. Antanas Procuta and John Birch. 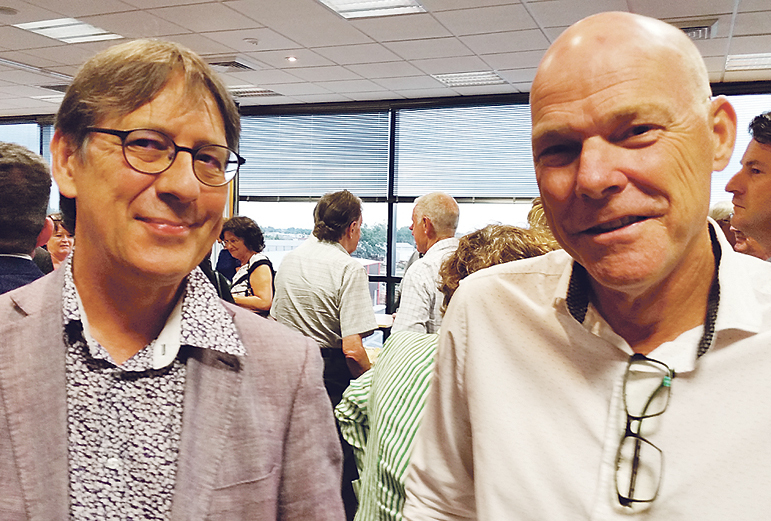 More than 100 people gathered to farewell Wintec chief executive Mark Flowers as he retired at the end of a 16-year spell which featured international student growth and an ambitious campus modernisation programme. 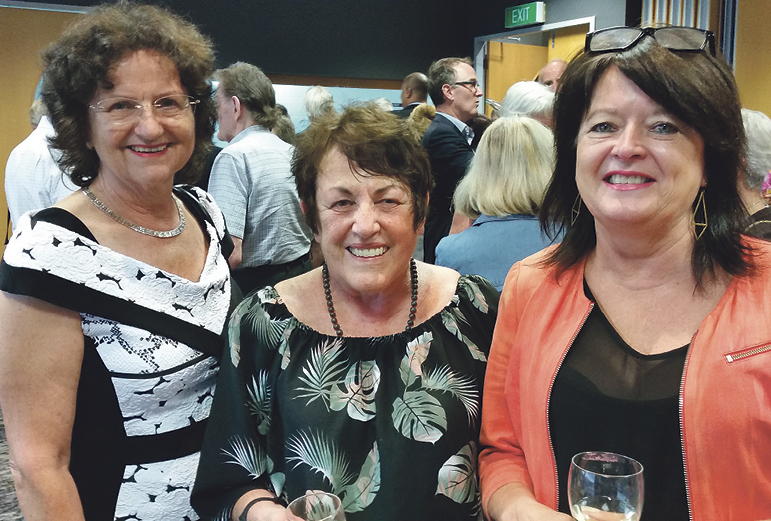 Many Wintec staff were in attendance, along with members of the business community, at the farewell at the Gallagher headquarters in Hamilton, which featured both Mark and his wife Lynnette Flowers being presented with taonga by Wintec kaumatua Tame Pokaia and Hera White, director Māori. Sir William Gallagher paid tribute to Flowers, saying he was retiring knowing it was “a job well done”. John Gallagher and Debbie Page. He said Flowers had done a “remarkable” job in turning around an institute that had been on government watch, transforming it into a leading tertiary institute. He said Flowers was highly respected for his achievements, particularly in growing Wintec’s international student market to revenues of $23 million. Mary Cave-Palmer, Gaye Barton and Julie Ashby. “The cost of travel and building those international relationships was not a cost but an investment in Education New Zealand. “Another example of your strong leadership was the modernisation of the Wintec campus in the city and at Rotokauri, an investment of some $100 million. Sir Willliam also paid tribute to Lynnette for her commitment to Wintec and to the community. 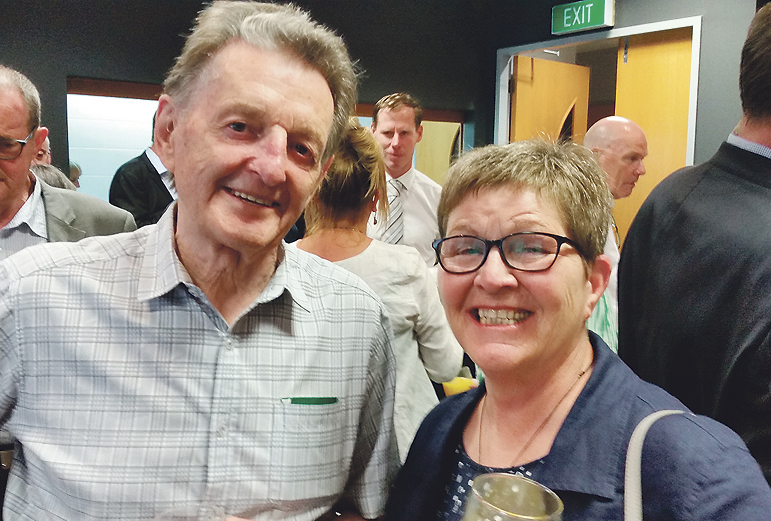 “Tonight’s farewell to you and Lynnette is a way of endorsing what you have achieved with Wintec and the community organisations you have touched,” he said.